I inherited my love of gardening from my mother and grandmother. I am a garden blogger, freelance writer, and Master Gardener emeritus. Cute little bunnies are only cute until they start dining on my haricots verts. The squirrels are robbing the tomato plants because they are thirsty. The herbivore rabbits just have good taste in gourmet garden produce. Trapping and behavior modification are the most effective and humane ways to protect your produce. Trappers, be prepared to catch more than the animal you are trying to trap. For example, I first trapped an armadillo and the neighbor's curious cat. So before you begin, find out if you can bring the feral cats to the local animal control center. 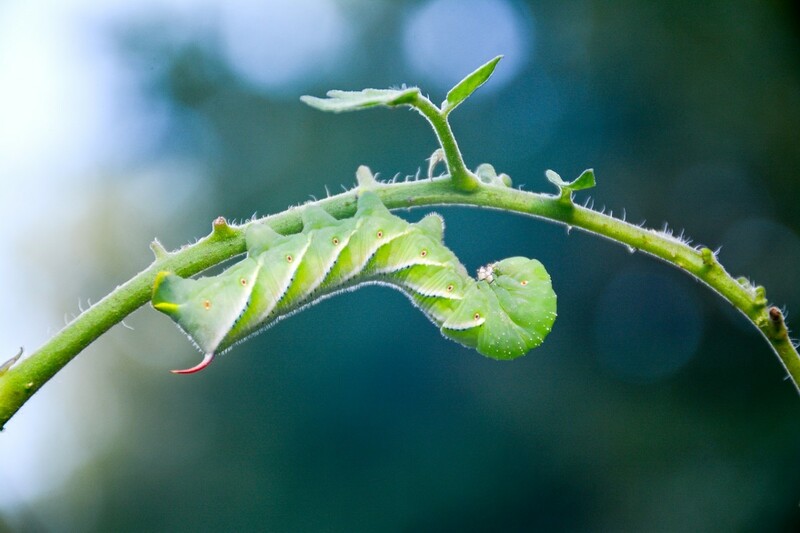 Your goal is to get rid of a garden pest. 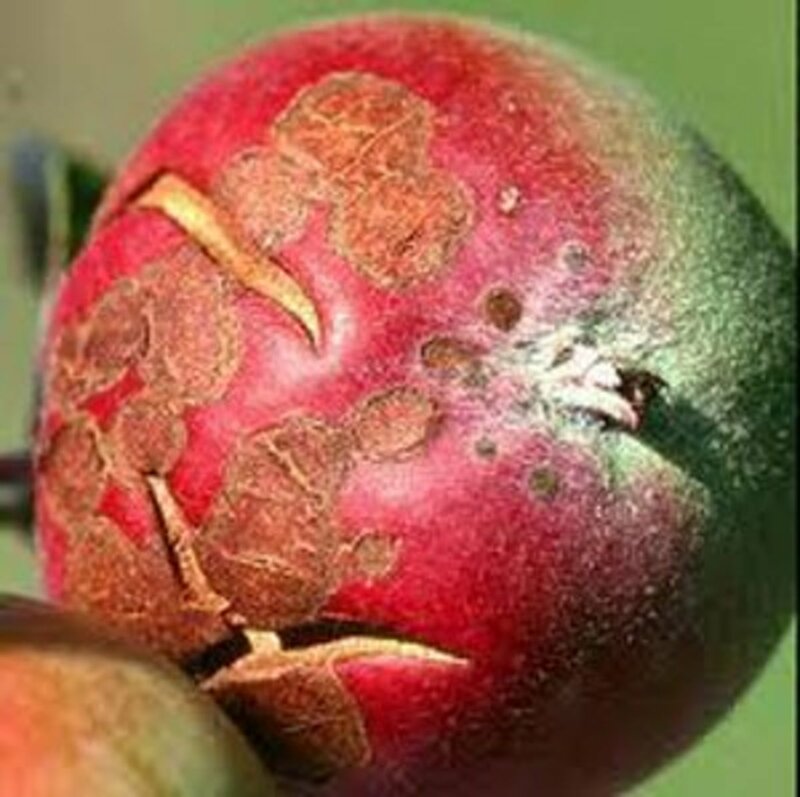 Make sure you are not just creating a pest problem for someone else. Have a plan of where to release trapped squirrels and rabbits. My neighbor and I had a good laugh. He, of course, wanted his cat back. I was happy the cat was no longer using my garden for a litter box. It may scare the neighborhood kids until they figure it out. Then, that little motion detector will become great fun. It was NOT fun for elderly neighbor Dorothy who just wanted to smell the roses. A female wild rabbit can produce three or four litters a year, with four to six young per litter. Over a five year period, a single pair of cottontails and their kin would number around 350,000. Wild rabbits are herbivores and to them, your garden is a "gourmet buffet". Trapping rabbits is a humane way to remove them from temptation. The blast of water from the ScareCrow motion detector has saved my green bean crop. The common grey squirrel's best habitat is a forest of acorn producing oaks, walnuts and hickory trees. But during the dry weather of August, they rob our gardens of tomatoes because they are thirsty. In the winter they raid the bird feeders. It's a free feeding station when food is scarce. Trapping will be an annual event, every year other squirrels will find their way to your feeders and garden. Feral cats are a growing problem in the United States. Cats contribute greatly to the population reduction of songbirds. Feral cats are estimated to kill 100 million birds every year. The U.S. Department of Agriculture estimates there are an additional 5 million domestic cats abandoned annually. It is estimated that there are over 60 million stray cats in the United States. People with pets have less problems with garden predators. A junk yard dog or even a frisky terrier will chase away cats. Traps may even capture curious or hungry birds.The looks of a Scarecrow motion detector may frighten small birds. You want these insect eaters, little birds, in your garden. The "face" of the Scarecrow is made by using optional decals included with every purchase. The purpose of the scarecrow in my garden is to deter rabbits and squirrels. So as NOT to frighten the birds, I left the decals off. My scarecrow is black and has no "face." 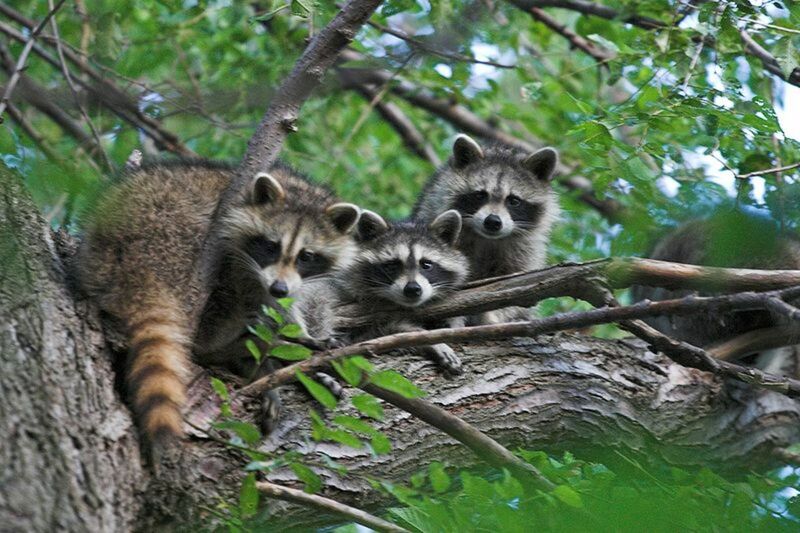 Havahart® the Havahart products offer dozens of animal control products. Buy many of them locally or order online. Contech company is dedicated to designing, manufacturing, and marketing innovative and environmentally-friendly products for the pet and garden industries. 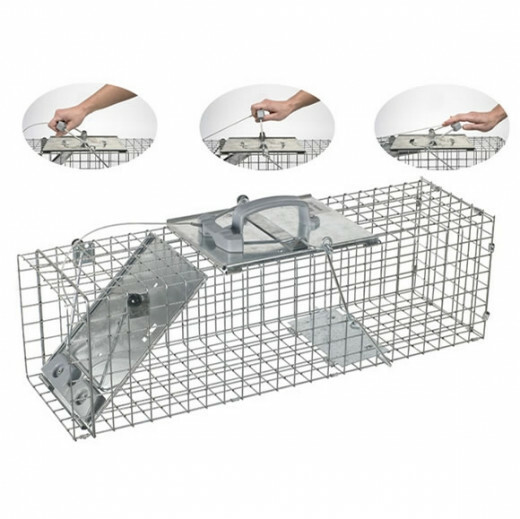 Havahart® traps come in different sizes. Invest in the right size, you will be using this tool for years. Buy them online or locally. Havahart® has a handy “where to buy” link to type in your zip code and find a store near you. The site has good information on mosquito control, attracting humming birds and, squirrel proof bird feeders. I love this product. It is great fun. 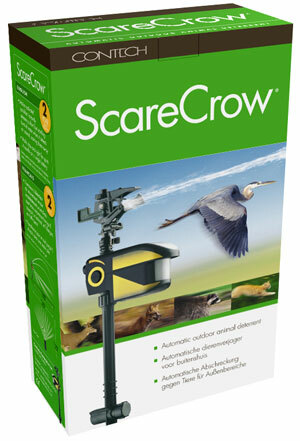 The ScareCrow® is advertised as motion-activated sprinkler that automatically detects deer, raccoons, herons, dogs. As the pest approaches the garden, and the Scarecrow repels them with a short quick burst of water. The sudden noise, movement and water spray scares uninvited pests and teaches them to stay away. This is keeping the squirrels away from my tomato plants. Last year, the ScareCrow guarded our little peach tree when it produced fruit for the first time. It works on newly seeded lawn, a just-planted garden, ripening tomatoes, coveted green beans and ready to pick corn. 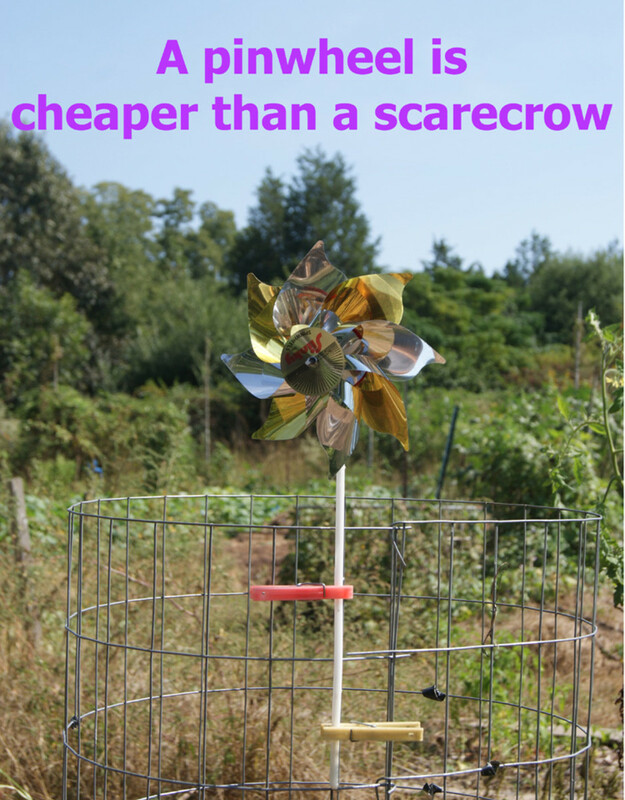 The ScareCrow motion activated sprayer can be connected to other scarecrows to create a water barrier fence. It only uses 2 or 3 cups of water when activated. The motion detector will operate on a single 9 volt battery all summer. 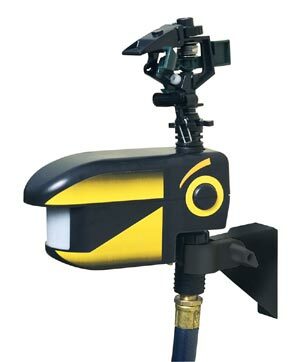 Scarecrow Motion Activated Sprinkler is just one of the Contech's animal care products. Contech offers many other safe and humane solutions for our pets and the pests that invade our homes and gardens. We have many squirrels due to our walnut tree you have accomplished an excellent hub on his topic and looks a good idea. Thank you for your comments. I'm testing another new product and will keep searching. I believe it takes more than one strategy to live with animals who have the same good taste that we do. I appreciate your vote. This may be just what we need! My hubby set up a motion detector with a light and connected a radio to it. When the animals approach, a bright light comes on and the radio blasts. However, this only keeps them away at night. The deer have learned to come to the garden just after the sun comes up. They have now eaten ALL the leaves of my okra plants. I will be looking into the "Scarecrow". Thank you so much for this information. Voted up and useful! It is a bad year here too. We have a lot more rabbits and squirrels. havahart has a motion detector too. Lower price but I have never tried it. This year seems particularly bad for rabbits in my area. They seem to like my lovely blooms. Might have to look into some of these solutions.